Pantone Picks a Purple for Its 2018 Color of the Year. As any color lover would attest, there is power in purple! 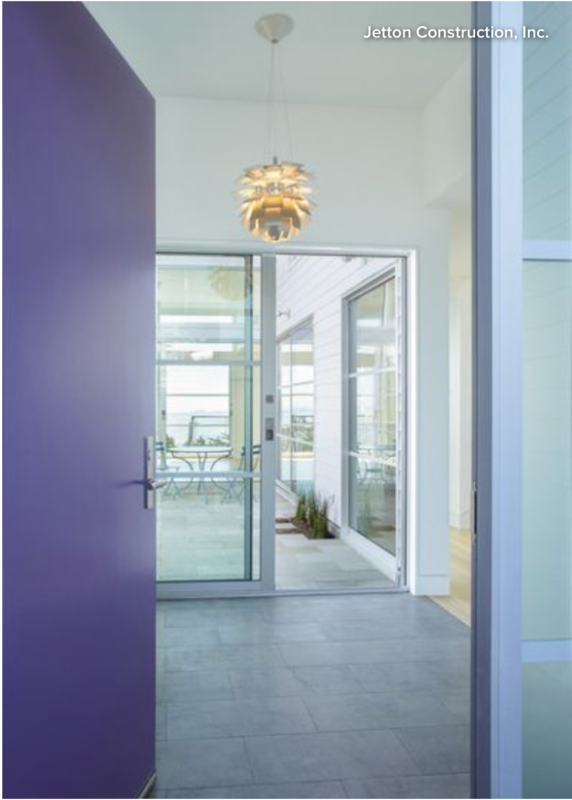 Check out this article written by Houzz Contributor Jennifer Ott. For more tips and inspiration, visit Houzz.com. Move over, Millennial Pink. 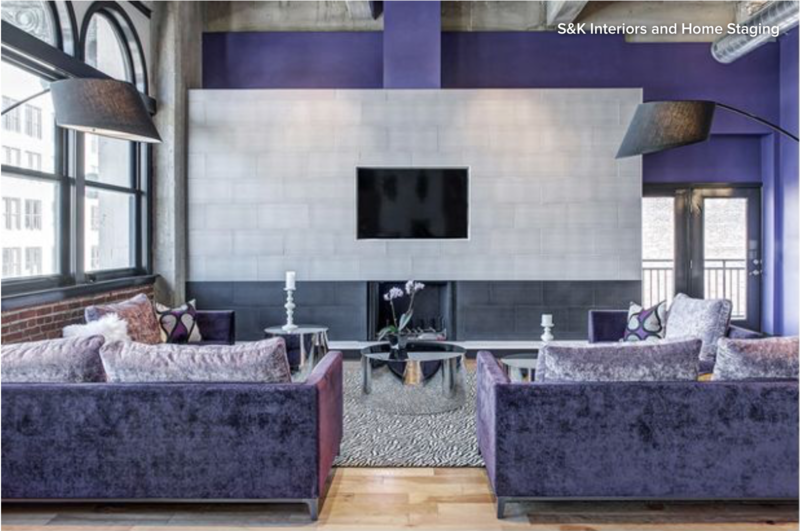 Pantone’s color experts think Ultra Violet is ready to influence design choices next year. Intriguing indeed. And while I can see this shade being a hit on fashion catwalks, I have a feeling it will receive mixed reviews when it comes to decorating, due to its intensity. Last year’s selection for 2017, Greenery, while also a bold choice, was relatively easy to integrate into the home because we tend to favorably associate green with nature. It almost works as a neutral. In my work as an architectural color consultant, I did notice a slight uptick in demand for Greenery-esque hues after last year’s announcement, but mostly in the form of small accents, like on a front door. It’s important to point out that these annual color selections are not a call to redecorate one’s home in the latest trendy hues. Few of us have the budget or wherewithal to redo our decor every year. But my advice to those who are drawn to a particular color when it gets anointed as “on-trend” is that it will suddenly become easier to find furnishings and decorative accessories in that hue. So this means 2018 will be a good year to stock up on all things purple, if you love the color. Now let’s take a look at Ultra Violet’s potential in the home. You might be surprised by just how great it can look. Because it’s such a lush, deeply saturated hue, Ultra Violet has a large impact even in small doses. 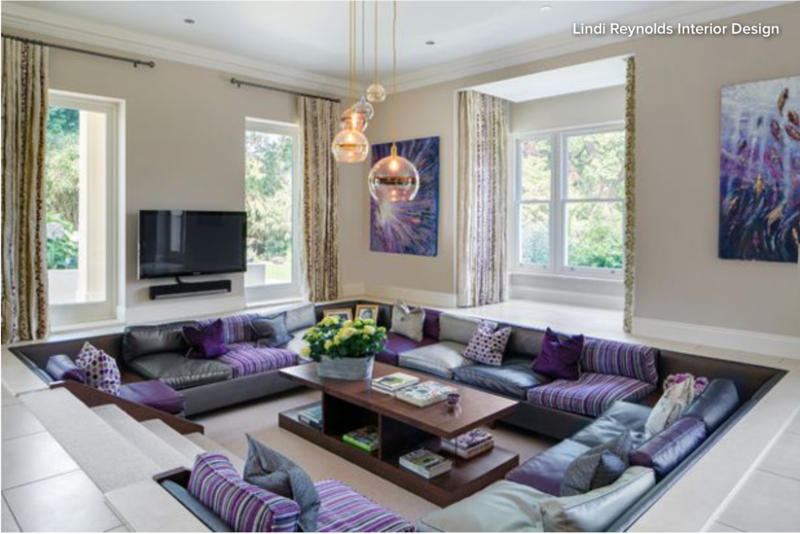 The living room shown here has punches of purple throughout the space, but because they are relatively small, and the bulk of the room is light and bright, the effect is colorful while still looking restrained and elegant. 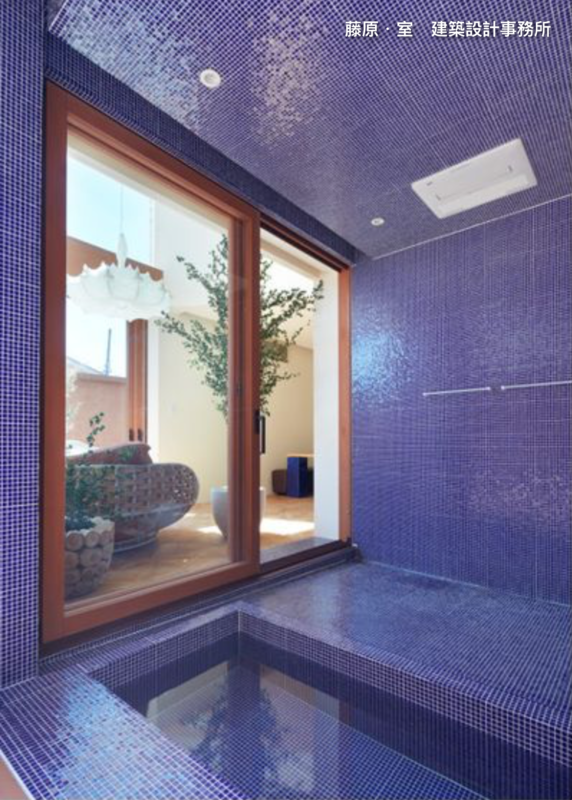 Purple hues are thought to be soothing, and surrounding ourselves in the color can make us feel more calm. If that’s true for you, then it’s a fantastic color choice in the bathroom, especially if you are a fan of long, leisurely baths. 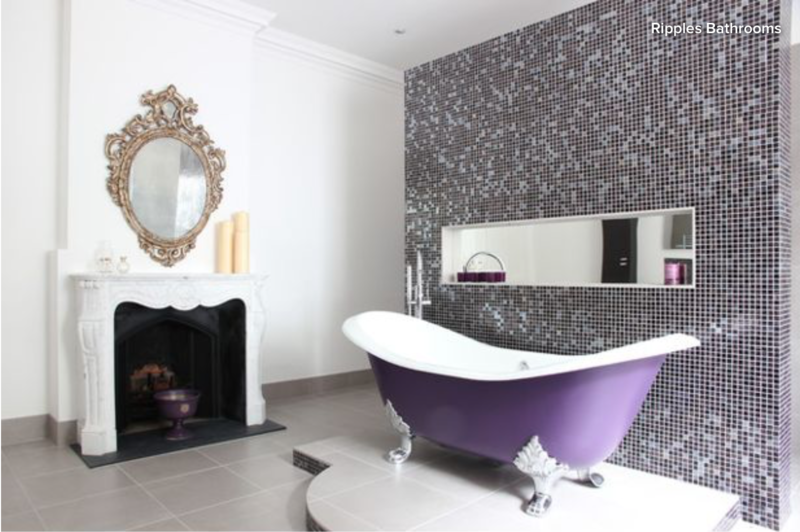 The previous photo of the standalone tub is an example of how to use a little bit of purple in a bathroom. This picture is for those who really want to go to town with the hue. Or perhaps you want a chill-out vibe in your living room. I love working with ultramodern materials and spaces, but it can be tricky to keep them from looking cold and unwelcoming. 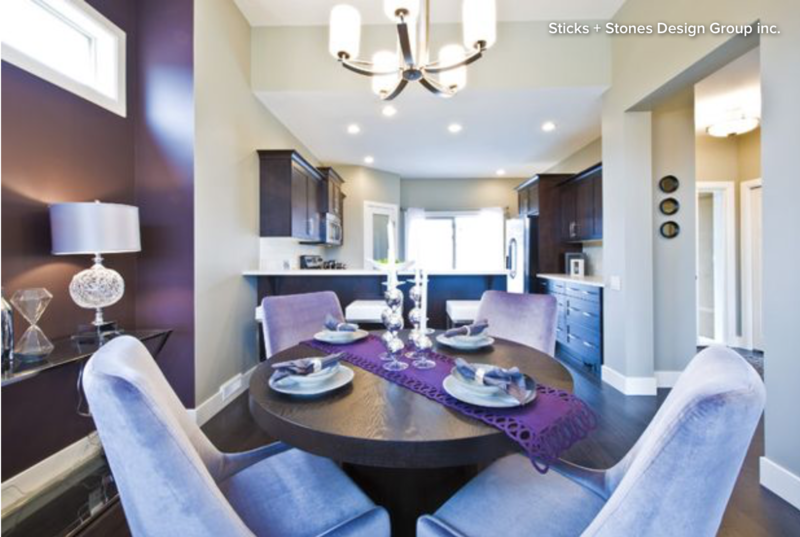 This example shows how a few splashes of purple can transform a contemporary space. It looks like a fun and inviting space but also a good one for relaxing in at the end of a long, stressful day. As a calming hue, purple is an obvious choice in a bedroom as well. I like using an intense hue for a headboard wall, as in this bedroom, while keeping the remaining walls light and neutral. Blue hues are thought to suppress the appetite, and red hues appear to stimulate conversation, so perhaps purple — a mix of blue and red — is a great choice in a dining space for those looking to drop some weight while still having lively dinner parties! 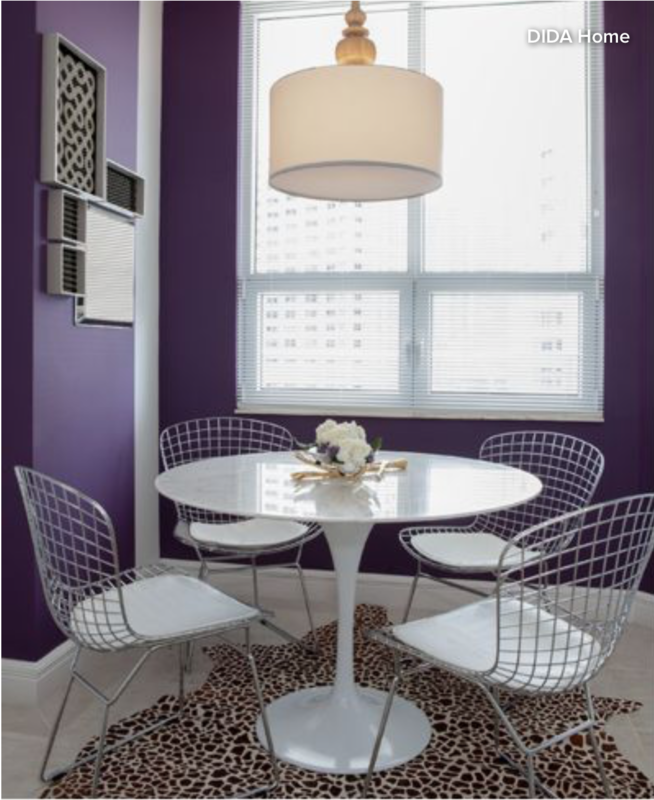 All kidding aside, purple is an unusual hue for a dining room or kitchen, but I think it works well in the rooms shown here because they get plenty of light, which keeps the purple from veering gloomy. 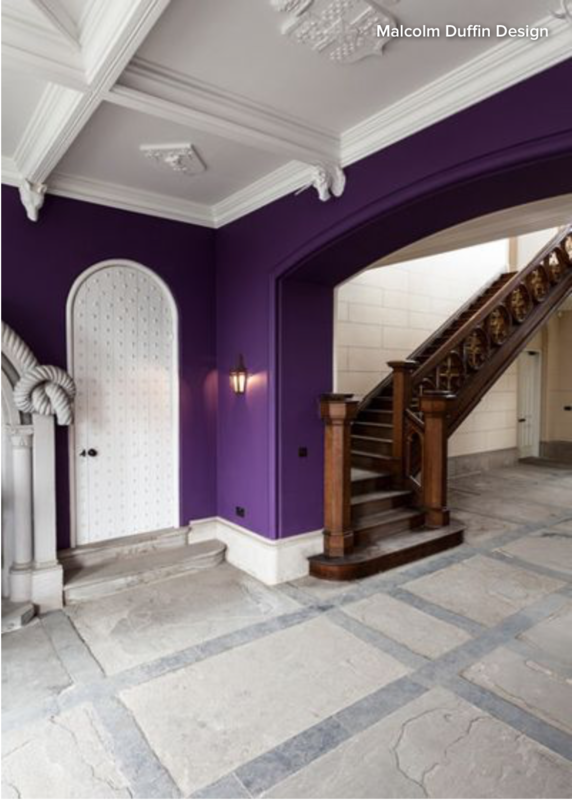 They also include light-colored and neutral elements, which provide a grounding counterbalance to the more eye-catching purple. 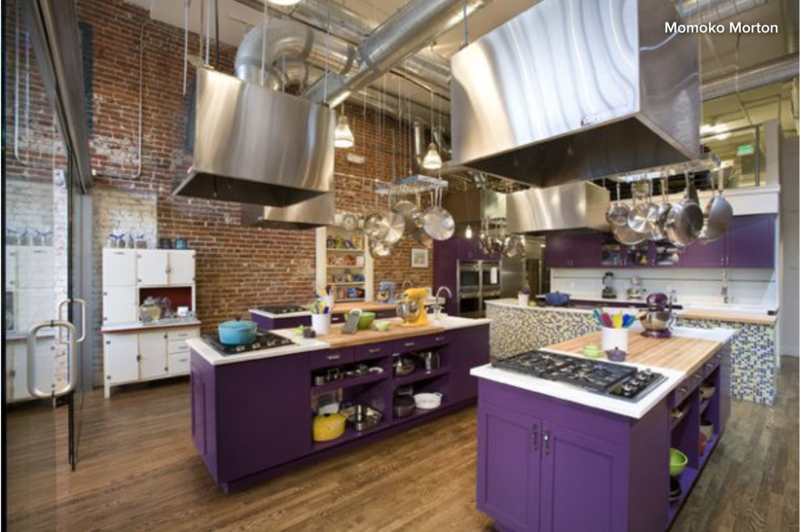 I tend to nudge my design clients to be daring with color in spaces where they don’t spend large amounts of time. I pesonally don’t enjoy lounging for long periods in rooms with loud color schemes, but I appreciate that vibrant and unusual hues can perk up a space. By reserving the more assertive hues for rooms in which you don’t tend to linger — such as entryways, hallways and stairways — you can introduce visually stimulating colors into the home without feeling overwhelmed by bold color. Copyright by Houzz Contributor Jennifer Ott. For more tips and inspiration, visit Houzz.com..